With the new TAdvGridExcelIO component directly reading and writing Excel 97 or higher .XLS files without the need to have Excel installed on the machine is easier than ever. 3) You can set TAdvGridExcelIO properties to control the Excel file read / write behaviour but in most cases default settings will be ok.
Formatting Excel cells when exporting from with TAdvGridExcelIO. By default there is no automatic conversion between the numeric formats in AdvStringGrid and Excel since they use different notations. Imagine you have the number 1200 in the grid, formatted as "$1,200" . 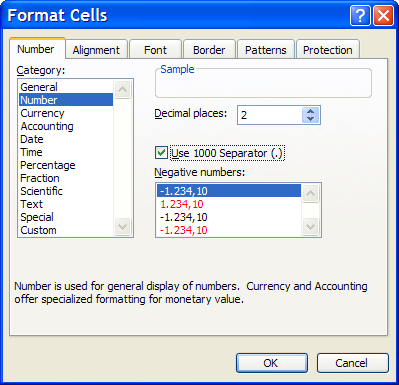 If you set TAdvGridExcelIO.Options.ExportCellFormat to true, the cell will be exported as the string "$1,200" to Excel. It will look fine, but it will not be a "real" number, and can not be used in Excel formulas. If you set TAdvGridExcelIO.Options.ExportCellFormat to false, the cell will be exported as the number 1200. It will be a real number, that can be added later in Excel, but it will look like "1200" and not "$1,200"
To get a real number that is also formatted in Excel you need to set ExportCellFormat := false, and use the OnCellFormat event in AdvGridExcelIO, and set the desired format for the cell there. 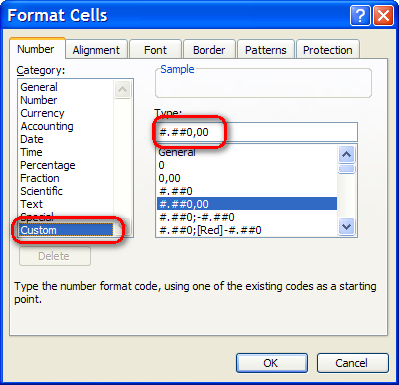 The string you need to write in "Format.Format" is a standard Excel formatting string. It is important to note that this string must be in ENGLISH format, even if your Windows or Excel is not in English. This means that you must use "." as decimal separator and "," as thousands separator, even if they are not the ones in your language. Let's imagine that we want to find out the string for a number with thousands separator and 2 decimal places. 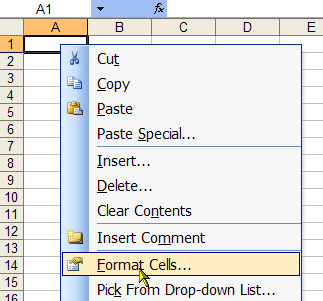 So the steps are: 1) Open an empty Excel file, right click a cell and choose "Format Cells"
Once we have the format we want, we choose "Custom" in the left listbox. There is no need to close the dialog. The string that shows in the "Type:" editbox is the one we need to use, converted to English notation. In this example, since our decimal separator is "," and the thousands "." we need to switch them in the final string. Please note that it is a limitation, inherent to the .XLS file format specification that the maximum number of rows is 65535 and maximum nr. of columns is 255. While TAdvStringGrid can handle much more rows and columns, export of grids with more rows or columns than what the .XLS file format can handle will fail. If there is a need to export more than 65535 rows or more than 255 columns, use grid.SaveToXLS() and specify a filename with .XLSX extension.